Takeshi Kobayashi was born in June 7, 1959. He's a well-known music producer, lyricist, composer and keyboardist. He is best known for his work with the popular band “Mr. Children”. 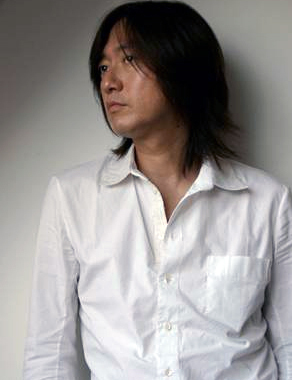 In 1996, he teamed up with Shunji Iwai to create the music for the film Swallowtail Butterfly and the Yen Town Band, headed by Pop star Chara. The band they created became a commercial hit in Japan. He would team up with Iwai again in 2001 for the harrowing High School Drama All About Lily Chou-Chou. Kobayashi would create the music for the titular pop star, Lily Chou-Chou (voiced by Japanese singer Salyu), that is spread through the film (as well as Debussy), and later be released as an album entitled Kokyu (Breathe). He also composed songs for Kill Bill 1 (2001, directed by Quentin Tarantino). Jin Akanishi of KAT-TUN, who stars in the film BANDAGE has, in the name of a band in the film, ranked in #1 in the Oricon ranking with the album OLYMPOS (released January 13). This is LANDS' 2nd consecutive #1 after the first single released in November last year. The only other time in history that an album which was released in the name of a movie character was #1 was in October of 1996, when the band YENTOWN in Shunji Iwai's directed film Swallowtail Butterfly released the album called MONTAGE.